Tahira Kashyap on marriage with Ayushmann. 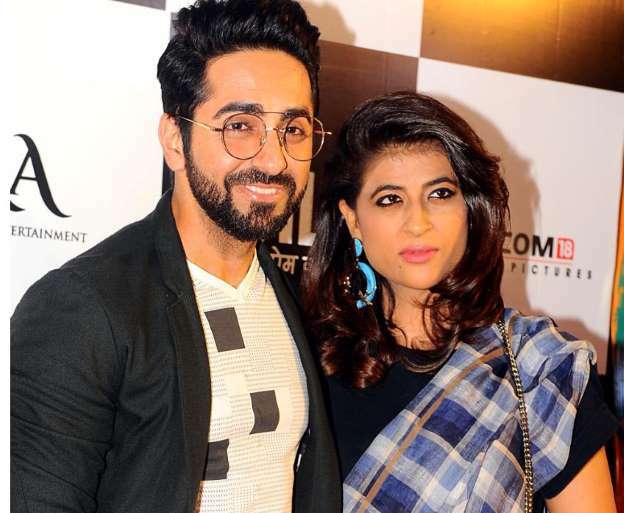 HomeTahira Kashyap Ayushmann KhurranaTahira Kashyap on marriage with Ayushmann. It has been a long and hard battle with cancer for Tahira Kashyap. She was detected with Stage O breast cancer. But Tahira wasn't alone in her struggle with cancer, she was throughout supported by husband Ayushmann Khurrana. Tahira and Ayushmann have known each other before Ayushmann made it big in the industry. They both were married before the actor made his debut with Vicky Donor. However, it wasn't always an easy ride for the couple. They have also had their share of rough patches. In an interview with an entertainment website, Tahira opened up about her insecurities about their relationship and more. She said, I was this crazy, insecure pregnant person when Vicky Donor happened and that was the worst phase for both of us. I think both of us were very immature. He didn’t have the maturity to kind of hold my hand and tell me it’s OK, especially when I am crazy on my hormones because I was pregnant at the time and I also didn’t have the maturity to just take it easy and know that this thing will get over. Tahira revealed that they lacked a sense of maturity and couldn't handle the situation well. She added, Both of us lacked maturity. Then, you also feel like a whale and considering your husband is with beautiful women all around and you don’t come from that background. Even, if you have the maturity, the passion and are understanding, you but you don’t have the maturity to deal with the frills that come along.